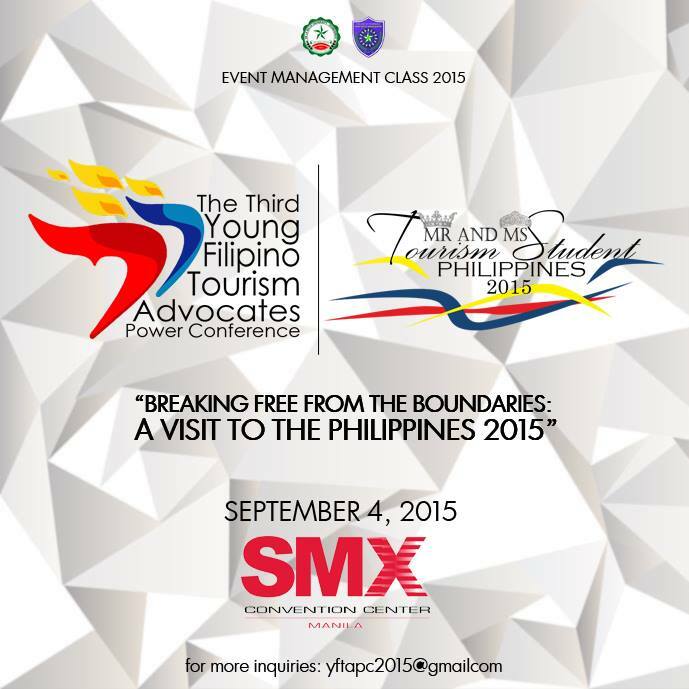 Event Management Class 20153089 of De La Salle University-Dasmariñas in Cavite City presents The Third Young Filipino Tourism Advocates Power Conference and Mr. & Ms. Tourism Student Philippines 2015 happening on September 4, 2015 (Friday) at Function Room 4 of SMX Convention Center in Pasay City. This year, the event and search go nationwide as they bring you the country’s next leading educational conference for future promoters of Philippine tourism & hospitality industry. 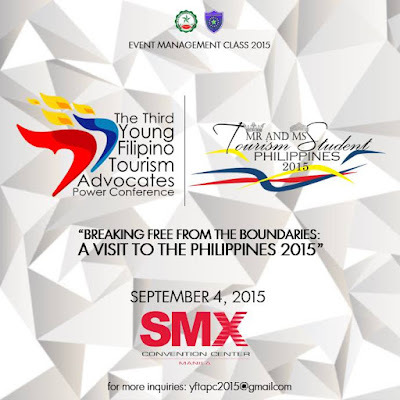 The 3rd National Young Filipino Tourism Advocates Power Conference with the theme “Breaking Free from the Boundaries: A Visit to the Philippines” back-to-back with Mr. & Ms. Tourism Student Philippines 2015 to witness beauty, talent and intelligence as candidates from different universities and colleges compete for the crown.